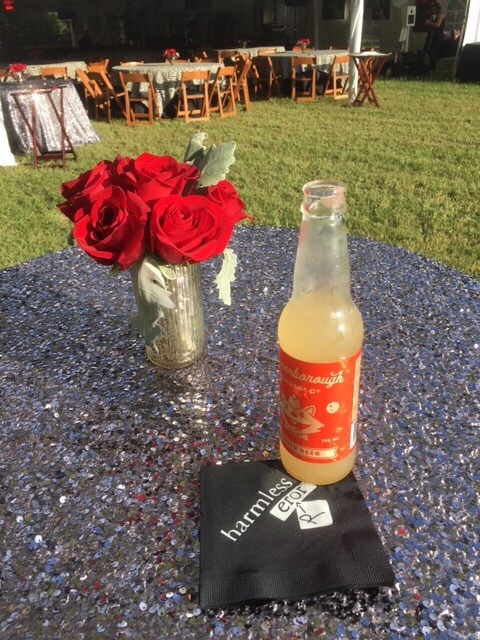 We are so excited to share our project with a client who had a super cool idea for her husband’s 60th birthday party. 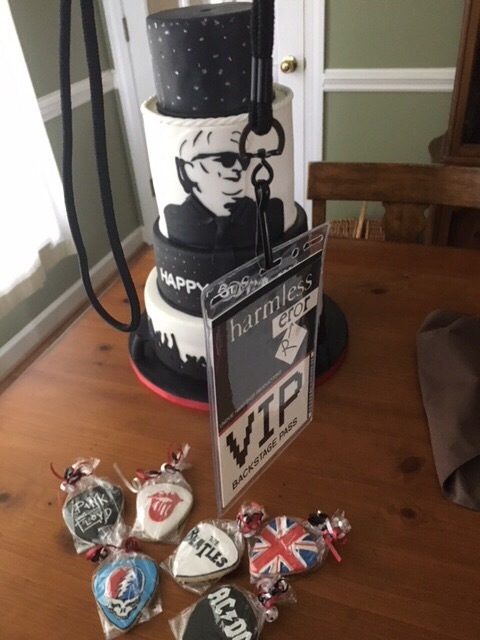 She planned a rock’n’roll themed birthday and concert starring his band, Harmless Error. 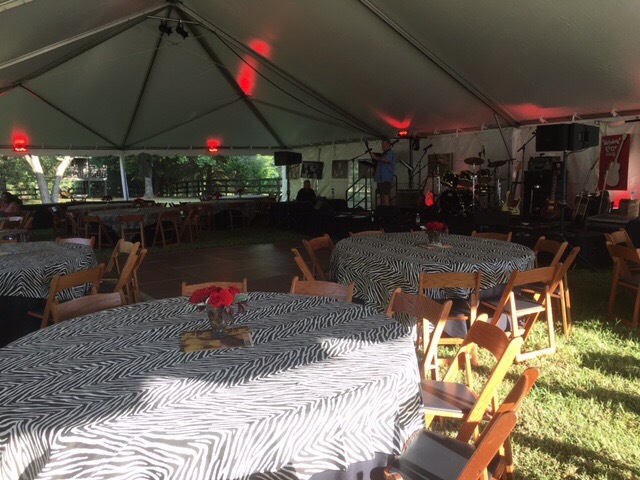 We created custom concert ticket invitations, “merch,” VIP passes, and signs to immerse the guests in a truly rockin’ concert experience! 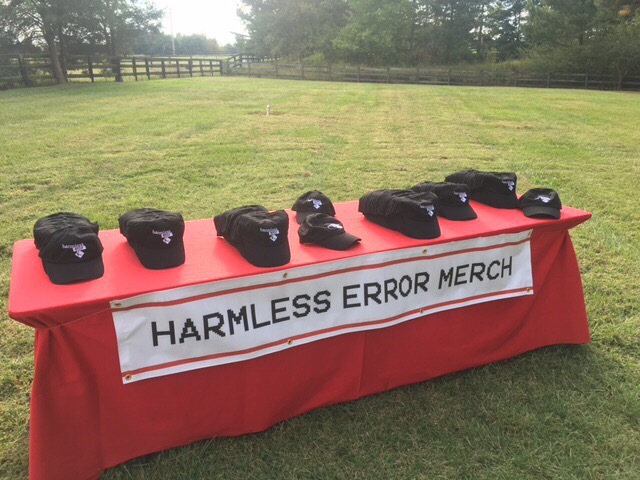 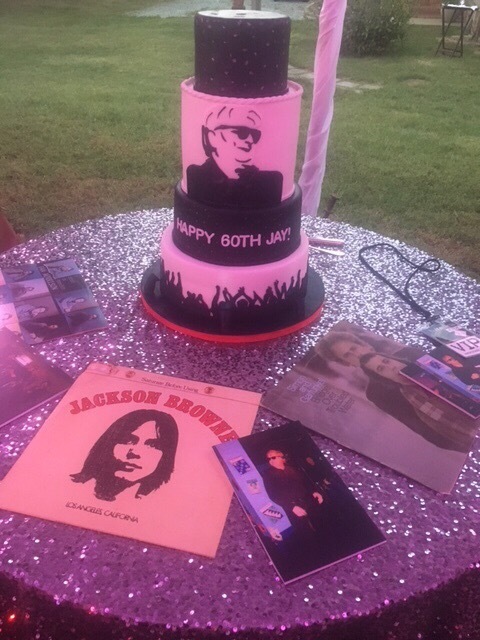 The client’s husband is the singer for his band, Harmless Error, and we knew we had to give this front man a truly memorable 60th birthday. 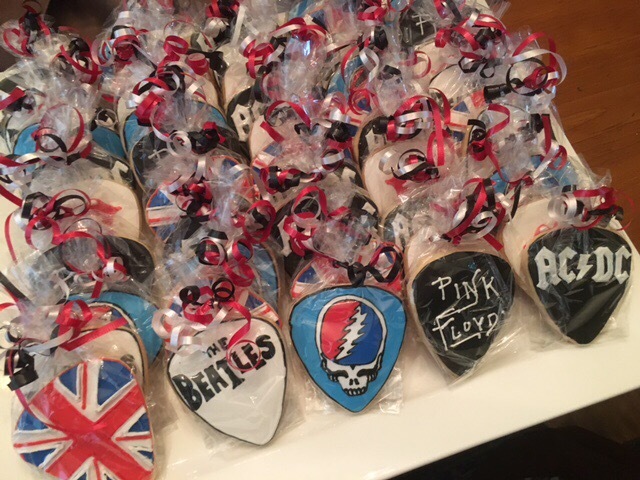 Guests were free to grab band merch including hats, and had rock’n’roll themed guitar pick shaped cookies to take home as tasty favors. 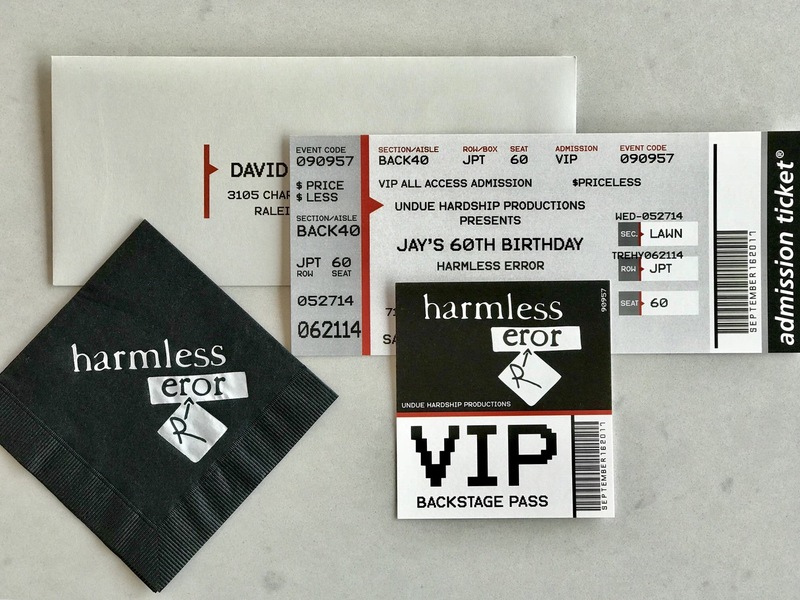 VIP passes on lanyards for everyone gave each guest a backstage pass to the fun.